We’ve been taking your iPhone 4 questions, answering them in a series of articles. But among the most common questions have been ones about whether or not accessories that work with previous iPhone—or iPod—models will work with Apple's latest phone. Given that new iPhone and iPod models have, in the past, included circuitry changes that that rendered existing accessories obsolete, as well as the fact that the iPhone 4's physical design is very different from that of its predecessors, these are valid concerns. As we do with every new iPhone, iPod, and iPad, here’s a quick rundown of which accessories work—and which don’t. Cases: As should be obvious, given the completely new design of the iPhone 4, cases for existing iPhones won’t fit—compared to the iPhone 3GS, the iPhone 4 is thinner in the middle, less-rounded at the edges, and narrower overall. However, I mention cases here for the same reason I mentioned them when I talked about the iPad and accessory compatibility: Some vendors started producing iPhone 4 cases before the phone was actually released, and based on some of the early case samples we’ve seen, not every early case is as usable as it could be. Most of the early samples we’ve seen fit the iPhone 4’s dimensions, but on some, the phone’s buttons and switches are difficult to operate, and on others, the case doesn’t provide a large-enough opening for the camera(s) and flash. When buying a case for your new iPhone, I recommend trying the case first—or at least buying from a store with a good return policy. 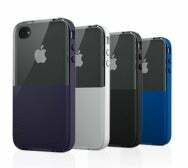 Another popular protection option for iPhones is a protective film for the screen, or for the entire body of the phone, from companies such as InvisibleShield and BodyGuardz. If our experiences with the iPhone 3GS’s screen are any indication, the iPhone 4’s screen should be nearly impervious to scratches—I used my iPhone 3GS for a year with the screen unprotected and still don’t have a scratch on it. If you just can’t stop worrying about screen scratches, Power Support has long made my favorite screen films. Headphones and wired headsets: The iPhone 4 features the same multi-function headphone jack as the past few iPhones and iPod touch models. It works with standard stereo headphones with a 1/8-inch (3.5mm) stereo miniplug, as well as stereo headsets—from Apple and third-party vendors—that include an inline remote control and microphone. 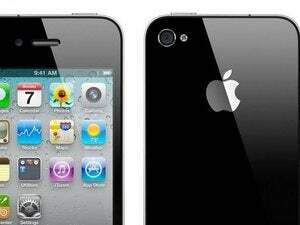 (The iPhone 4 includes Apple’s three-button—play/pause, volume up, and volume down—earbuds with microphone.) When using the iPod app, the inline play/pause button works just as it does with many recent Apple products: a single press toggles playback, a double-press skips forward, a triple-press skips backward, and a press-hold activates the iPhone’s Voice Control feature. When using the Phone app with a wired headset, the iPhone’s microphone and speaker are disabled in favor of the microphone and earpieces on the headset, and the inline play/pause button performs phone-related functions. The microphone on a wired headset should also work in any app that allows audio recording, including the stock Voice Memos app. It also works with the video mode of Apple’s Camera app; in fact, the inline play/pause button acts as a record/pause button. Microphones: As I just noted, the inline microphone on any iPhone- or iPod-compatible headphones or headset works as a mono microphone for recording audio (from within an app that supports recording, of course). These microphones also work in Skype and similar apps. Unfortunately, unlike with the iPad, you can’t connect a USB microphone or headset to the iPhone using the iPad Camera Connection Kit. The Camera Connection Kit doesn’t work at all with the iPhone. Similarly, as with previous iPhones and the iPad, the microphone on Bluetooth headphones or headsets, which can be used for phone calls, doesn’t work for general audio recording. Bluetooth mono headsets: The iPhone 4 lets you use any standard mono Bluetooth earpiece or headset for making and taking phone calls. With most recent headsets, you can use standard single-button controls: press to answer or end a call, double-press to redial the last number, and press-hold to activate Voice Control. If you have an A2DP-compatible headset or earpiece, you may also be able to listen to non-phone audio—in mono, of course. 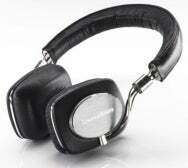 Bluetooth stereo headphones and speakers: As with the previous two generations of iPhone and iPod touch models, the iPhone 4 lets you use Bluetooth stereo headphones and speakers to listen to the phone’s audio output. In my testing with a number of stereo-Bluetooth accessories—headphones, speakers, and Belkin’s Bluetooth Music Receiver—pairing was quick and easy, and most audio was routed through the headphones or speakers. However, as with the iPad, audio from the Skype app wasn’t routed through the Bluetooth headphones or speakers. Similarly, on Bluetooth headphones or speakers that include a microphone for phone conversations, that microphone didn’t work in apps other than the Phone app. One issue I experience, when listening to music at the gym through either of two different Bluetooth headphones, was choppy audio streaming. I’ve thus far tried deleting all Bluetooth device pairings and re-pairing just one or the other set of headphones, but I haven’t been able to eliminate the stutters and dropouts. The iPhone 4 also continues to suffer the same Bluetooth limitation as previous Apple devices by not fully supporting AVRCP (the Audio/Video Remote Control Profile), which is the Bluetooth feature that lets you control playback using buttons on your Bluetooth headphones or speakers. Whereas a good number of Bluetooth audio accessories include buttons for skipping tracks, and some even let you browse your device’s menus, the iPhone 4 still supports only the most-basic AVRCP functions: play/pause and stop. I was hoping iOS 4 or the iPhone 4 would finally include this fairly basic functionality, but it’s still missing. It looks like I’ll have to continue to use the Bluetooth Helper app to control playback at the gym without having to take my iPhone out of my pocket. One change iOS 4 did bring—to both the iPhone 4 and previous iPhone and iPod touch models—is the ability to control Bluetooth playback volume using the iPhone’s own controls. (You were previously limited to adjusting the volume level using your Bluetooth headphones or speaker system’s own volume controls.) This change does mean that you now have to perform some level matching to find the iPhone volume level that gives you the best range of volume on your Bluetooth headphones or speakers, but it’s a welcome tradeoff. For example, last year I tested a set of Bluetooth headphones that I couldn’t use because the headphones’ lowest volume level was still too loud. I can now reduce the iPhone’s volume level and use those headphones comfortably. Docking speakers: “Speaker docks”—those audio systems that include a convenient dock cradle for your iPhone or iPod and that grab audio (and possibly video) while simultaneously charging the device—are among the most popular iPhone accessories. They’re also among the most expensive, so they generate the most concern about compatibility when Apple releases new iPhones. The good news here is that if your docking speaker system worked with the iPhone 3G or 3GS, it should work fine with the iPhone 4; if the system includes playback controls, those controls should work as expected with the iPhone 4. Of course, as with previous iPhone models, if your docking speaker system doesn’t sport the official Works With iPhone designation, there’s a chance you could hear interference when your phone accesses the cellular network. For example, when you receive a call or when Mail checks for new e-mail, you could hear noise through the speakers. Connecting your iPhone 4 to a non-certified speaker system will usually prompt a warning message on the iPhone’s screen, along with an offer to put the phone into Airplane Mode to avoid such interference. And, as with power accessories, if you’ve got an older iPod dock that charges using the dock-connector port’s FireWire circuitry, that dock won’t charge your iPhone 4 without an adapter such as CableJive’s Charge Converter. If your system includes a dock cradle that uses Apple’s Universal Dock design, note that Apple doesn’t include with the iPhone 4 the necessary dock insert for the phone to fit securely in the dock. As with other recent iPhone models, you’ll need to purchase this dock adapter separately: Apple sells a 3-pack for $9. It’s a shame Apple doesn’t just include an adapter with the iPhone. Powered speakers and standard stereo systems: As with any audio device, you can connect your iPhone 4 to a set of powered speakers or to your home stereo system using standard audio cables. The drawback, of course, is that you lose any on-speaker controls that require a dock connection, as well as the capability to charge your iPhone while listening. You’ll get the best sound quality by grabbing a line-level audio signal from the iPhone—for example, by using the audio-out jack on Apple’s iPhone 4 Dock or Universal Dock (with the above-mentioned dock adapter), or using one of SendStation’s PocketDock adapters. 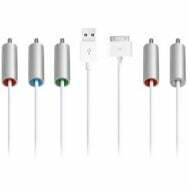 FM transmitters: If your only option for getting audio into, say, your car’s stereo is an FM transmitter, you’ll get essentially the same results with the iPhone 4 as with previous iPhone models. Which is to say that performance will vary widely depending on your location, the saturation of the airwaves around you, your car’s stereo, and seemingly myriad other factors. In testing dock-connector-based FM transmitters, my colleague Christopher Breen found that such accessories successfully grabbed audio from the iPhone’s dock-connector port and, if the transmitter included USB-charging capabilities, charged the iPhone 4. If you have a simpler FM transmitter that just plugs into the iPhone’s headphone jack, it will also work, although it obviously won’t be able to charge the phone. If an FM transmitter isn’t Works-With-iPhone certified—and, truthfully, even if it is—you may experience interference from the phone’s wireless activity.